MAP-system: The protective atmosphere packaging (MAP) is a packaging method allowing to keep unvaried the original fresh products organoleptic and nutritive characteristics for a longer time.Consequently, a longer shelf-life without the need of chemical preservers or stabilizer addition is achieved. MAP-system: This packaging technology consists of optimal oxygen, carbon dioxide and nitrogen mixture flushing inside the packaging having high barrier characteristics. As a result, this process assures to satisfy the preservation needs for the specific food products to be packed. 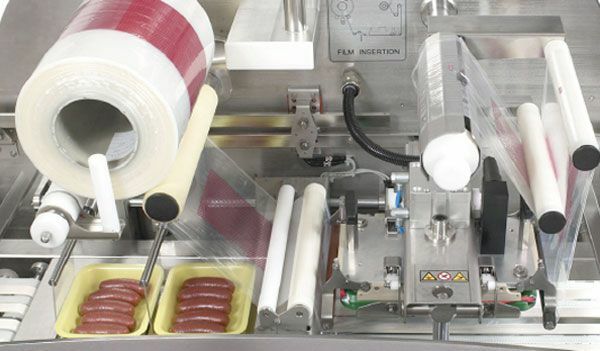 MAP-system: The films as well as the trays to be used, must have suitable gas and water steam barrier characteristics, granting satisfactory sealing performances allowing to keep the gas mixture contained in the packs during each phase. -> Waste reduction: the extended product shelf-life allows a better management of sales and supplying processes. -> Additives and preservers REDUCTION.